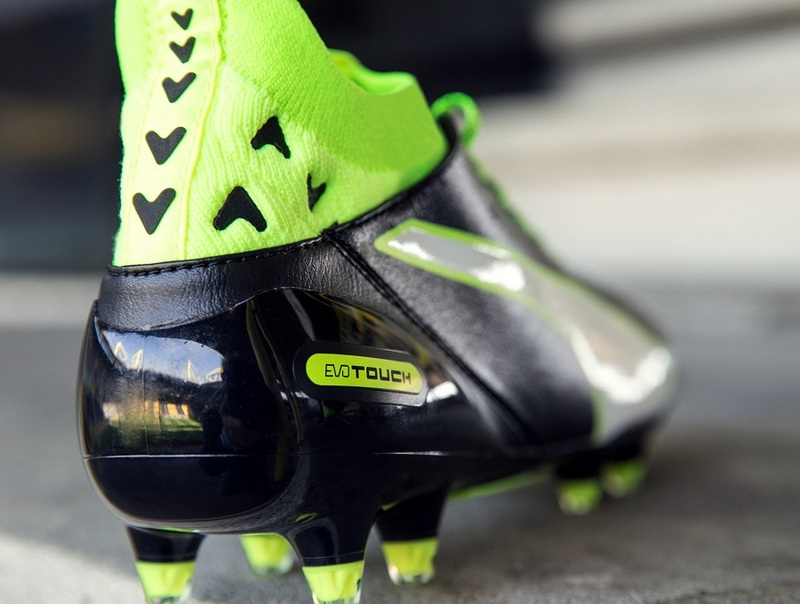 PUMA has launched a new boot that is set to revolutionize their position in the market, welcome in the all new PUMA evoTOUCH. What makes these so unique is the fact they are the first PUMA boot released with a knit ankle sock. 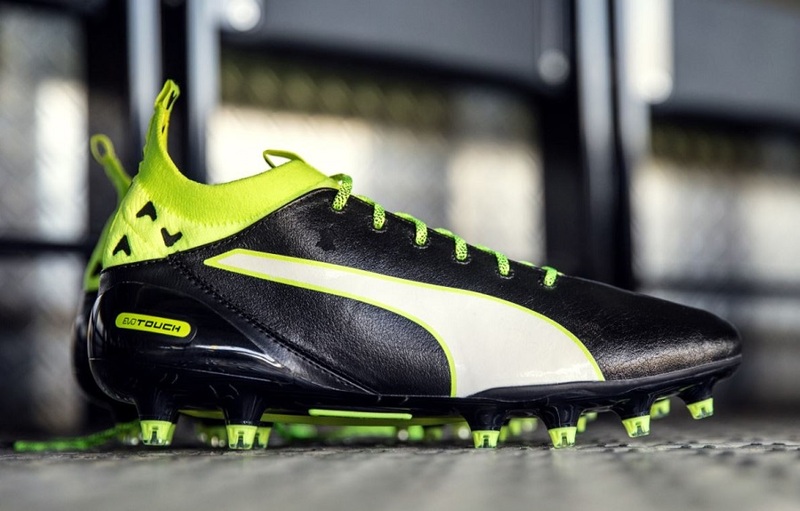 They also have a leather upper for unrivaled control and exceptional touch. This is a completely new type of performance from the Cat. 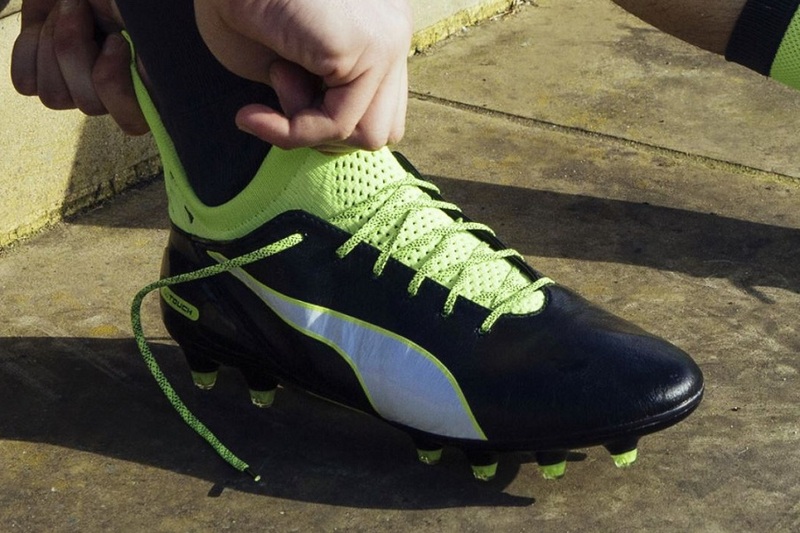 Right throughout, the boot has a unique construction, which PUMA engineered by taking the concept of touch from the inside out rather than starting with the moment of contact with the ball. 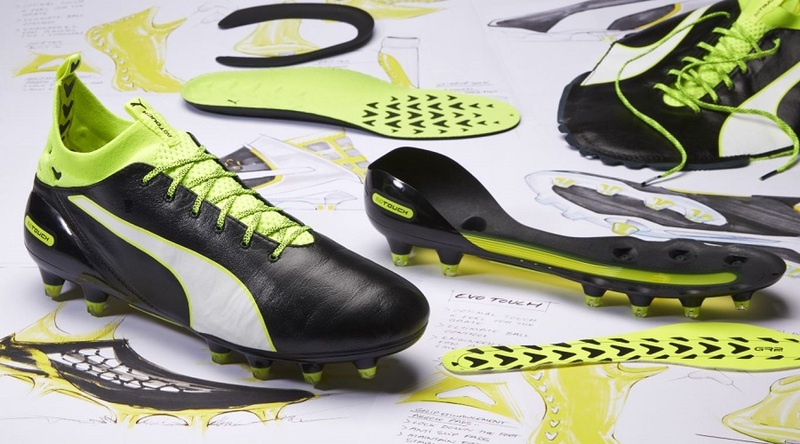 PUMA’s innovation team focused on what the foot needs and doesn’t, before working on the upper. The integrated evoKNIT knitted sock gives a snug fit, and the anti-slip GripTex arrows inside the sock lock down the foot, prevent slipping and ensure stability for the foot. Touch and comfort combine with stability, created by the new outsole with a raised SPEEDTRACK spine. 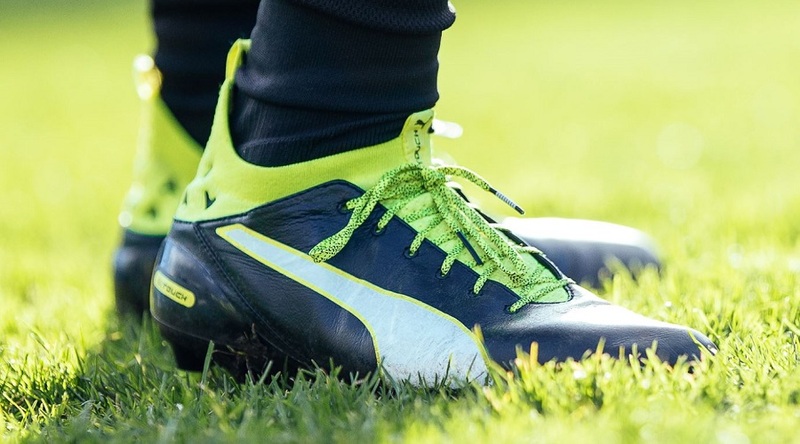 PUMA evoTOUCH is a great boot for my style of play, the connection and touch with the ball is very impressive which is important for maximum control on the ball. I’m impressed with the boot from the testing I have done and looking forward to getting back on-pitch and kicking of the new season with evoTOUCH. Players will be wearing the new boots right through pre-season and into the new season. They are currently available for retail in the release Black/Safety Yellow colorway, with two knit collar versions available. The evoTOUCH Pro is the high-end version, with a $274.99 retail while the evoTOUCH 1 will retail for $169.99. Find both pairs available, exclusively shipped today, at soccer.com. Taken them out a few times, so review will follow soon!